How can I change the default audio device from command line? Ubuntu's desktop gui is great for changing audio settings (System->Preferences->Sound), like the default input/output device and setting the volume. However, I would like to be able to do these things from the command-line. What tool is the gui using behind the scenes? and many many more CLI options. For a more elaborate tutorial on how to do this, and for instructions on how to change the sink during playback see this answer. Not the actual Ubuntu volume control, but better! It lets you control default devices, and even devices per application/stream. You have to have the app actually be recording/playing for it to appear in the 'Playback' or 'Recording' tabs, but once you choose the device for that app, it seems to remember it forever. Not the answer you're looking for? Browse other questions tagged sound pulseaudio or ask your own question. How to change pulseaudio sink with “pacmd set-default-sink” during playback? How to change volume of pulseaudio playback apps and streams that aren't currently in use? Is the line-input volume control linear-taper or audio-taper? How can I quickly change the audio stream to a different device in KDE Plasma? How to mute, unmute and set all output and input audio devices to full volume from command line in ubuntu? 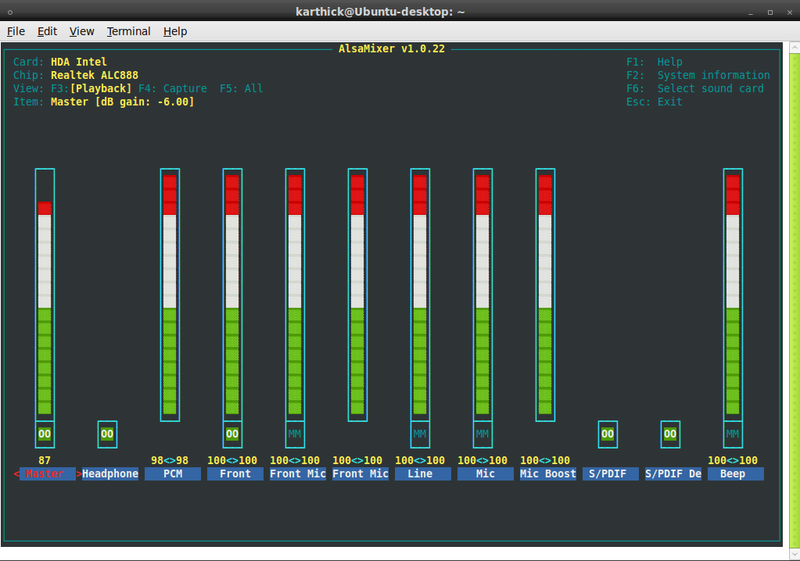 Getting the current volume of all audio input/output devices through command line? Traktor Audio 10 as default output device? How do I switch the audio outputs of an audio device from CLI?